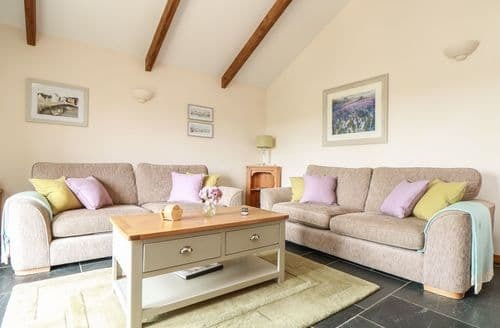 What our customers are saying about our Holiday Cottages In Tregoney To Rent. "The cream tea awaiting us was an unlooked for and most welcome thought,It is perfect for a family of four with younger children. Parking is on nearby roads which is not an issue, however the road the house is on can be quite noisy in the mornings. There is a bus stop outside the house which can be very useful if you want to get to Truro without the car. The house was well equipped and well placed for exploring the Roseland peninsula, which is extremely beautiful. We loved Falmouth, Gorran Haven, St.Anthony's Head and Marazion to name a few places. Rick Stein's Restaurant in Falmouth is highly recommended! We (2 adults and 2 teenagers) really enjoyed our holiday here, the last time we visited was before we had our children. 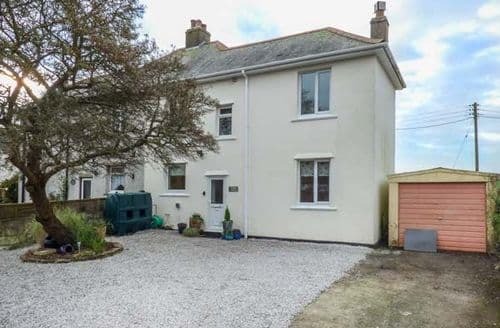 We will not leave it as long next time!Its location in the village of Tregony is in the middle of Cornwall which is very handy for visiting all parts of the county. One small criticism, S94407 is situated by a bus stop, the vehicles are noisy and begin running at 6 a.m. so not as peaceful as we would have hoped. 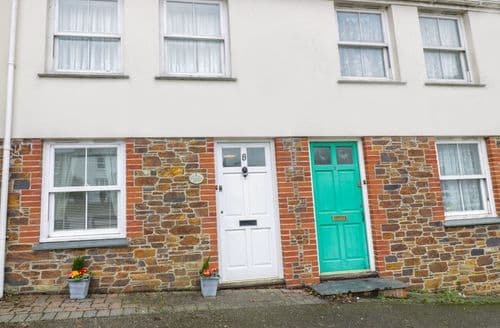 Thus its claim to be in the village square is misleading as is the photograph on the website consequently we contend that it is somewhat overpriced at £590 for a week, perhaps this should be reviewed." "It is perfect for a family of four with younger children. Parking is on nearby roads which is not an issue, however the road the house is on can be quite noisy in the mornings. There is a bus stop outside the house which can be very useful if you want to get to Truro without the car. 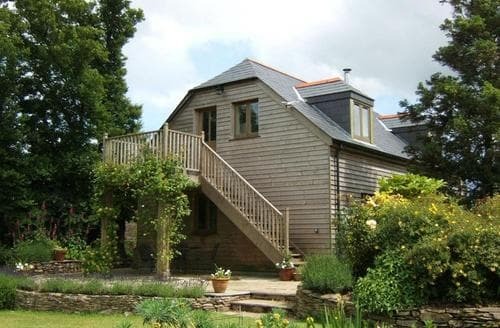 The house was well equipped and well placed for exploring the Roseland peninsula, which is extremely beautiful. We loved Falmouth, Gorran Haven, St.Anthony's Head and Marazion to name a few places. Rick Stein's Restaurant in Falmouth is highly recommended! We (2 adults and 2 teenagers) really enjoyed our holiday here, the last time we visited was before we had our children. 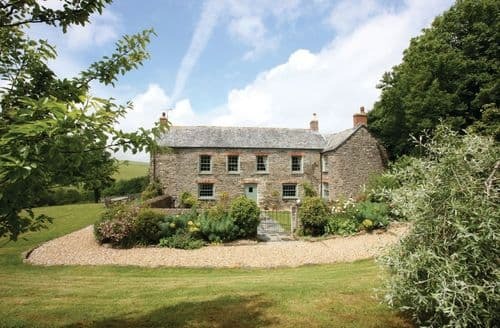 We will not leave it as long next time!Its location in the village of Tregony is in the middle of Cornwall which is very handy for visiting all parts of the county. One small criticism, S94407 is situated by a bus stop, the vehicles are noisy and begin running at 6 a.m. so not as peaceful as we would have hoped. Thus its claim to be in the village square is misleading as is the photograph on the website consequently we contend that it is somewhat overpriced at £590 for a week, perhaps this should be reviewed." "This is a very nice compact family house. It is perfect for a family of four with younger children. Parking is on nearby roads which is not an issue, however the road the house is on can be quite noisy in the mornings. There is a bus stop outside the house which can be very useful if you want to get to Truro without the car. The house was well equipped and well placed for exploring the Roseland peninsula, which is extremely beautiful. We loved Falmouth, Gorran Haven, St.Anthony's Head and Marazion to name a few places. Rick Stein's Restaurant in Falmouth is highly recommended! We (2 adults and 2 teenagers) really enjoyed our holiday here, the last time we visited was before we had our children. We will not leave it as long next time!" "Just returned from S43119 in Tregony and what a little gem it is. The house is just off the main thoroughfare but very easy walking distance to the pub and shop, the house itself is a semi detached property but very private, it's 3 bedrooms very tastefully decorated are light and airy would maybe be a bit cramped if used by 3 couples but perfect for families with children. The kitchen is compact but excellently equipped and there are lovely little touches everywhere making it very homely. The decked patio and large garden with fantastic views of the surrounding countryside make near perfect! Easy driving distance to many beaches and attractions you can't go wrong using S43119 as your home away from home." "It is perfect for a family of four with younger children. Parking is on nearby roads which is not an issue, however the road the house is on can be quite noisy in the mornings. There is a bus stop outside the house which can be very useful if you want to get to Truro without the car. The house was well equipped and well placed for exploring the Roseland peninsula, which is extremely beautiful. We loved Falmouth, Gorran Haven, St.Anthony's Head and Marazion to name a few places. Rick Stein's Restaurant in Falmouth is highly recommended! We (2 adults and 2 teenagers) really enjoyed our holiday here, the last time we visited was before we had our children. We will not leave it as long next time!"